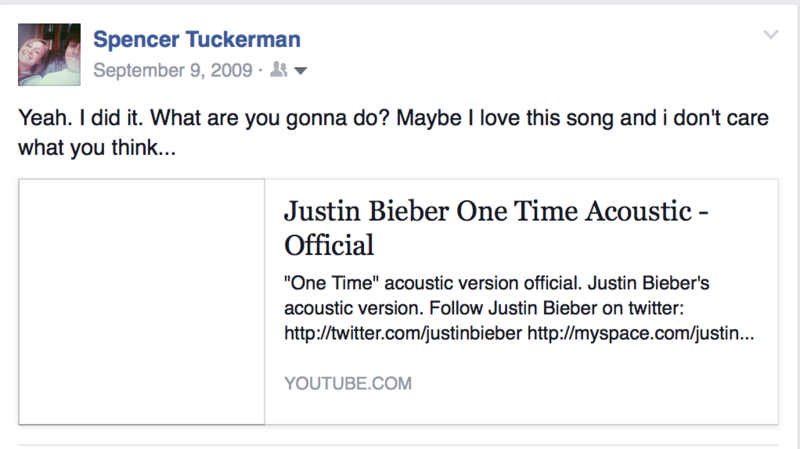 I became a Bieber fan at the beginning. I haven’t left the bandwagon since. My fellow Beliebers have accepted me as one of their own. I’m not exactly sure where my fascination with the Canadian pop sensation started, but it probably had something to do with the fact that he got discovered on YouTube, got really famous really fast, and quickly became the target of hatred from everywhere. This was a 14-year-old kid playing a guitar who had people three times his age taking time out of their adult lives to try to smear him. Something about a kid making his own way in the music industry to the ire of the entire country was amazing to me. It still is. Over the years, he’s done little to reward my fandom. He’s always flashed plenty of musical talent, but the product on the shelves usually boiled down to the typical lowest common denominator of pop music. His target demographic has always been teen girls, and there’s a certain type of music that nails that demographic. Bieber has always been forced into that box. It’s just how things had to happen. Aside from the musical output, there’s the Bieber Circus that I won’t get into. While his life is unfairly scrutinized and picked apart, he’s still done a bunch of really stupid crap over the years. He can’t escape the criticism, but he also doesn’t have to make it so easy. In Spring 2012, “Boyfriend” hit the airwaves. Maybe it was the haircut. Maybe it was the music video. Maybe it was the production and writing assist from Mike Posner. Maybe it was the remix featuring 2 Chainz, Mac Miller, and Asher Roth. Either way, it was apparent that Bieber was starting his push back towards mainstream pop and away from tween love songs. There’s a clear distinction between Aaron Carter and Justin Timberlake, and Bieber finally seemed to be staring down the chasm, preparing to leap. The encouraging part was the single’s success. You can’t go straight from “I Want Candy” to “SexyBack” and expect anyone to follow along. But Bieber’s shift was subtle enough, and “Boyfriend” peaked at #2 on the Billboard Hot 100, effectively giving the green light to advance with caution. The following autumn, the floodgates opened. Bieber announced that he’d be releasing a new single every Monday until the release of his Believe movie. On October 14th, “All That Matters” hit the web. It felt like we’d finally progressed past ironically good Bieber jams to genuinely impressive music. Bieber Timberlake had arrived, and he kept coming. All in all, ten singles were released, packaged with five bonus tracks, and sold as one album: Journals. It boasted features from R. Kelly, Chance The Rapper, Lil Wayne, Future, and Big Sean. It was The Biebs at his most mature, and he was finally starting to turn heads. After that, it was radio silence. Bieber stepped back for a while. In February, just before his 21st birthday, he surfaced in an unlikely place: a Skrillex and Diplo single. With the incredible music video and promotional push in June, “Where Are Ü Now” instantly become one of the biggest songs of the summer. Bieber had his most eclectic beat yet, and he didn’t miss. After years of swinging for the fences on standard pop and R&B production (with varying degrees of success) turns out all Bieber needed was a piano ballad that crashed into a dubstep track. The single went platinum. He was onto something, and he recognized it. When it came time to release the debut single for his fourth studio album, Bieber had the framework. He linked up with “Boyfriend” producer MdL and prepped the first taste of Album #4. After mercilessly teasing the song for an entire month, “What Do You Mean?” released on August 28th, and immediately exploded. Featuring a soft piano intro not too dissimilar from “Where Are Ü Now”, the song hits the chorus with a tropical house bounce. It’s the perfect single, because there’s just no way this was going to fail. The flute sounds make it feel like you’re listening to a 2015 version of Paul Simon’s Graceland. Honestly, I think the last massive single to feature a catchy flute riff was “You Can Call Me Al”. Bieber naysayers would’ve never predicted his biggest track would come in 2015, but that’s where we are. The single hit #1 in 19 countries, earned him his first trip to #1 on the Billboard Hot 100, and also made him the youngest male artist to ever debut at the top of that chart. It broke the global streaming record with 21 million streams in just five days. But more important than all the quantifiable success he’s earning is the fact that he’s officially earned the attention of the entire music world, not just teen girls. He’s making music with Lil Wayne and R. Kelly, he’s rapping on songs with Travis Scott and Young Thug, he’s dominating the charts, and even notoriously cynical publications are starting to take notice. At some point, even his persona started to come around. He’s now cognizant of his public image and what it means for him in regards to the media and tabloid coverage he receives. “I’m just walking on eggshells right now,” he told Clique earlier this month. The give and take of making highly marketable teen pop is that — while people will buy it up like there’s no tomorrow — it’s an image that’s extremely hard to shake. How many young musicians have been able to overcome their early personas to make music for a wide audience? The Canadian kid is trying to break through that barrier. It’s September 24th, 2015 and Justin Bieber is approaching escape velocity. The album comes out later this year. Stay tuned.